One of the biggest criticisms of the explosive rise digital photography is that the national archive will suffer as a result of images sitting quietly on countless hard drives and other storage media, unseen and doomed to obliteration. I'm not so sure the 'problem' is any more real than in the days of film. There must be countless photographers like me who have finished a roll of film and thrown it into a drawer to be processed another day, or, also like me, quite often not processed at all. The films I have treated in this way should at least be given the courtesy of realising their latent potential, so I'll work through them from time to time to see what I come up with. I must have had a reason for making the images in the first place, so I'll call it an ongoing project. 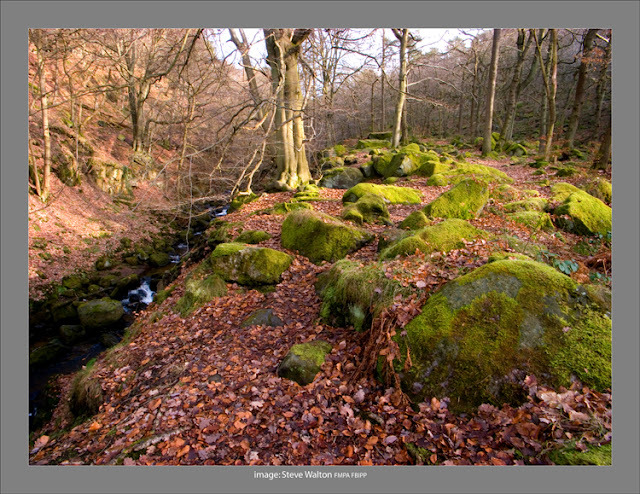 I shall be giving a series of presentations on my landscape photography at Focus on Imaging 2011 at the NEC in Birmingham. My talks will take place on the Master Photographers Association stand (Q24) on 7th, 8th and 9th March. Times are to be confirmed. 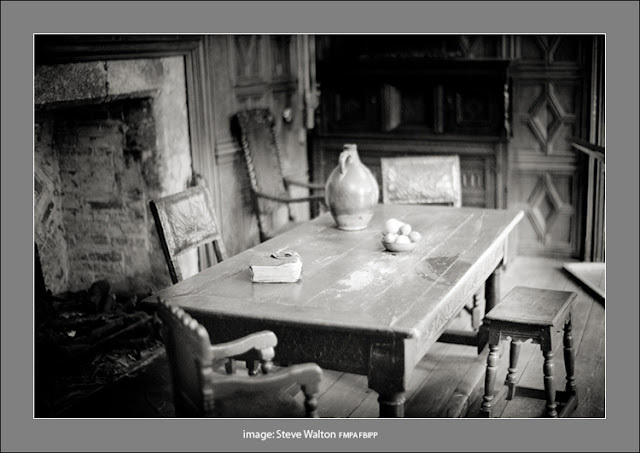 Focus on Imaging is held annually and is the UK's largest photographic trade exhibition. The show runs from March 6-9th. I'm looking forward to meeting friends old and new, if you have the time then drop by. It will be good to see you! Grindleford Station and back via Padley Gorge, Over Owler Tor, Higger Tor, Burbage Rocks and Longshaw Estate. One of the benefits (possibly the only benefit!) of being self-employed is that I can take time out of the office when everyone else is busy at work to have as much solitude as is possible. Last Tuesday presented a good opportunity to take a walk in the Peak District. I decided to select a varied route to take in a bit of everything from the lovely Padley Gorge, up past Mother Cap, Over Owler Tor to Higger Tor, round by Burbage Bridge and along the gritstone edge of Upper Burbage Rocks and down through the Longshaw Estate back to the start at Grindleford Station. It's a very pleasant walk and the weather was kind despite being cold and blustery on Higger Tor, for most of the morning it was almost spring-like. All images were taken on a Ricoh GRD2 with GW-1 wide angle converter (21mm equivalent). 200asa in manual mode. Park near the old station and enter Padley through the stile. There are plenty of cascades in the gorge and it's worth exploring. The Future Of Film (For Me, At Least). A consignment of film arrived from 7dayshop.com. 5 Propacks of Fuji RVP 50 and 10x 36 exposures of 35mm Kodak BW400CN. The cost for this modest amount of film was in excess of £106 plus postage. It's going to cost at least the same again for processing. If I shoot the Velvia on 6x17 format, that gives me exactly 100 frames at a processed cost of over £2 per exposure. 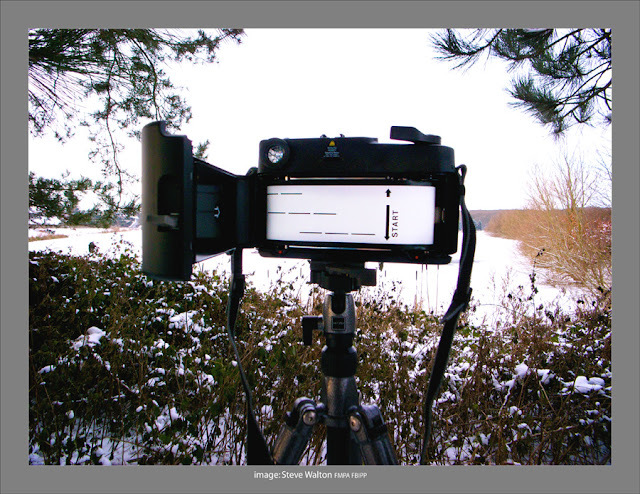 On 6x9, the running cost is halved and on 6x6 the processed cost per exposure is around 70p. In addition to the material cost of shooting film, the time spent on scanning, adjusting and cleaning up the files makes little commercial sense in the face of falling revenue from stock and library sales. So, I have a dilemma. Mountain Laurel Designs Trailstar Has Arrived At Last! 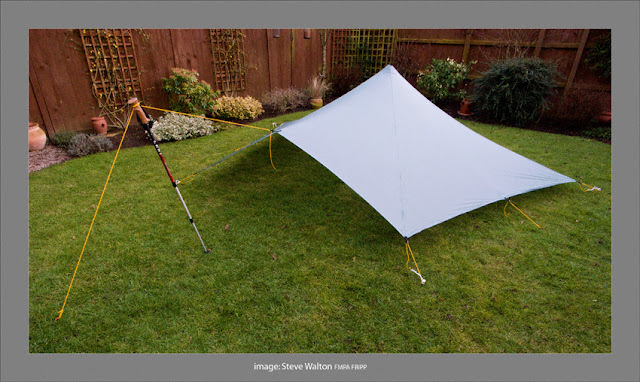 This is not intended as a review of the Mountain Laurel Designs Trailstar by any means, for a detailed review visit Andy Howell's blog and download Colin Ibbotson's excellent write-up . This is a comment on my first impressions of the Trailstar now that I've unpacked it, fitted the guy lines and trial-pitched it in the garden today. The immediate impression is that of it's astonishingly large size when pitched. The Trailstar has a huge footprint with acres of room inside along with the options of a low or high level pitch.